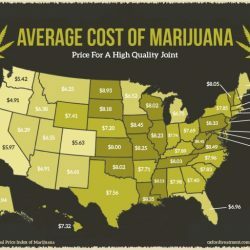 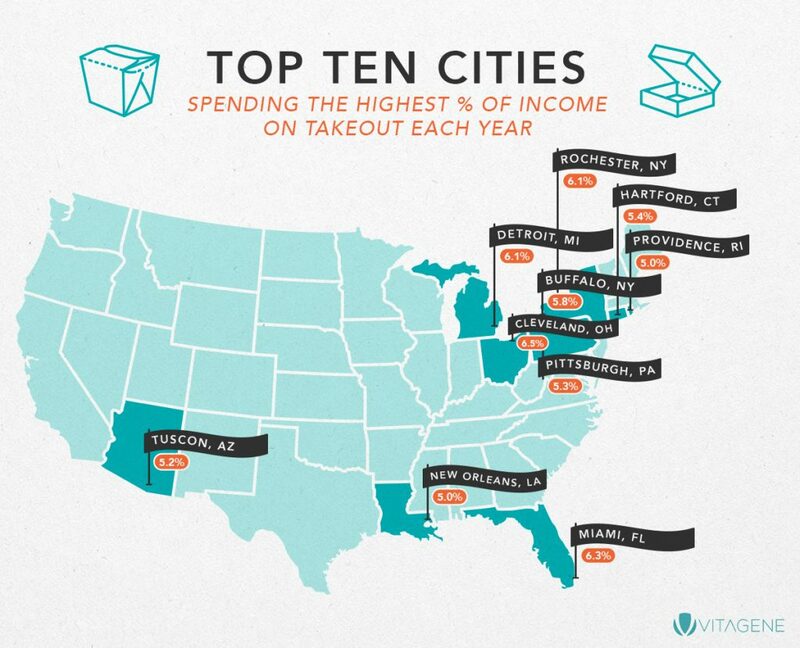 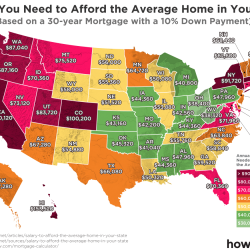 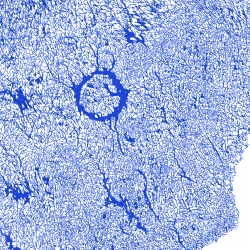 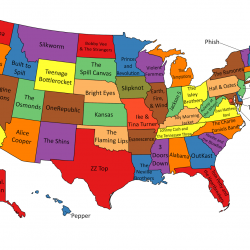 The map beolow shows which U.S. cities actually spend the most and the least on takeout. 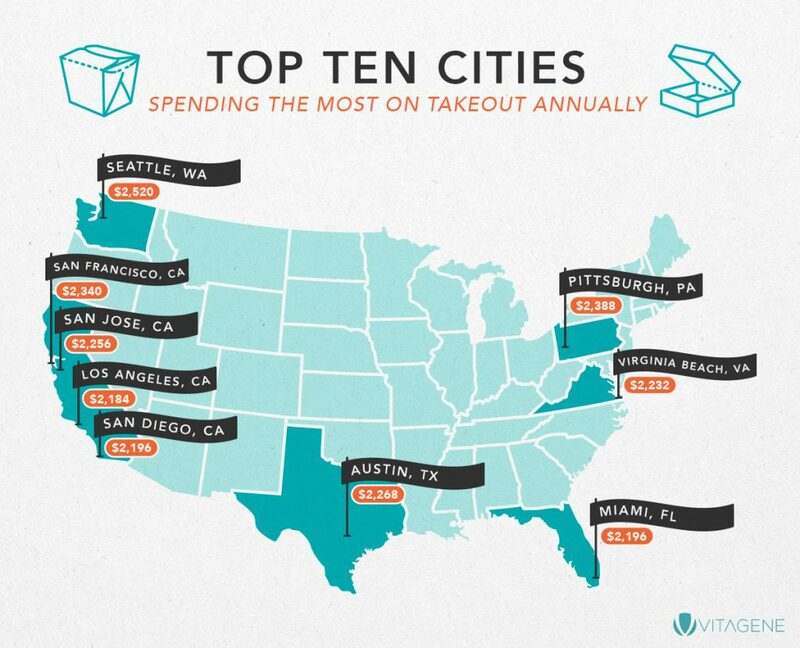 People in Seattle spend the most on takeout food, more than any other city in the United States. 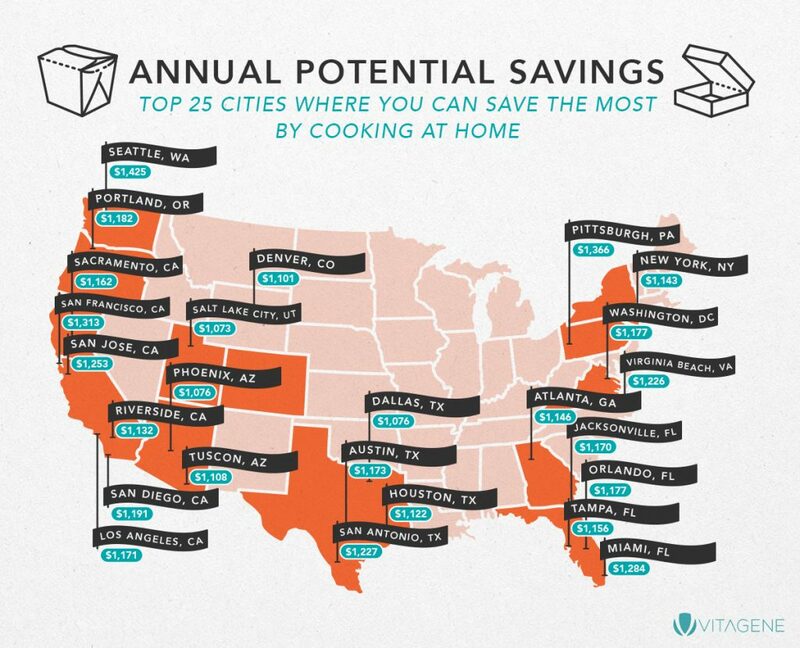 Seattleites spend, on average, $2520 annually on takeout. 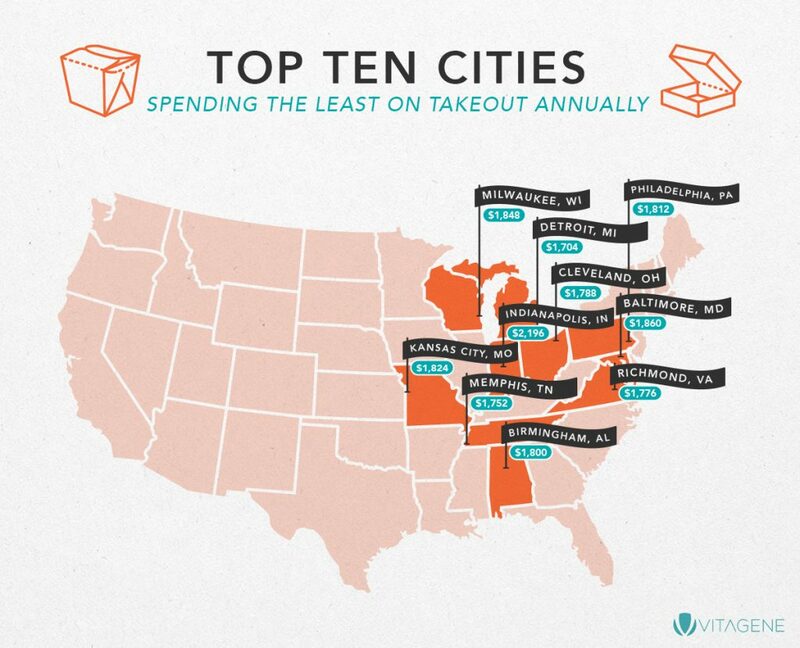 Detroiters spend only $1704 on takeout food every year.